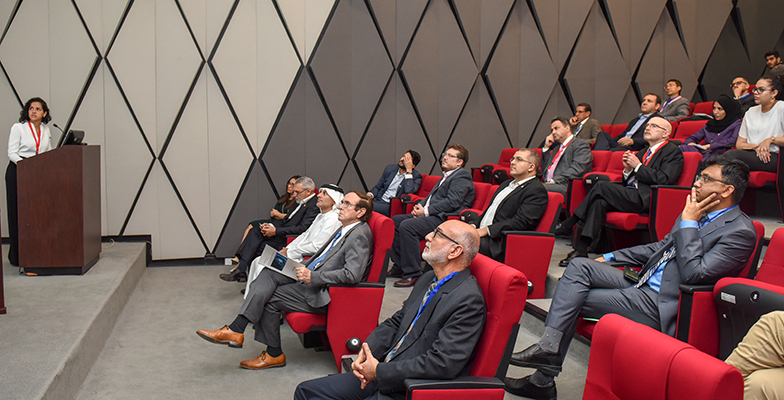 Distinguished academics and experts from around the world have assembled at the Sixth International Conference on Water, Energy and Environment 2019 (ICWEE) at American University of Sharjah (AUS) to discuss important issues related to energy, water and the environment. Being held under the patronage of His Highness Sheikh Dr. Sultan bin Muhammad Al Qasimi, Supreme Council Member, Ruler of Sharjah and President of AUS, the three-day conference, which began today, March 26, provides an important platform to faculty, students, engineers and managers to learn about the latest trends and share research in the field. 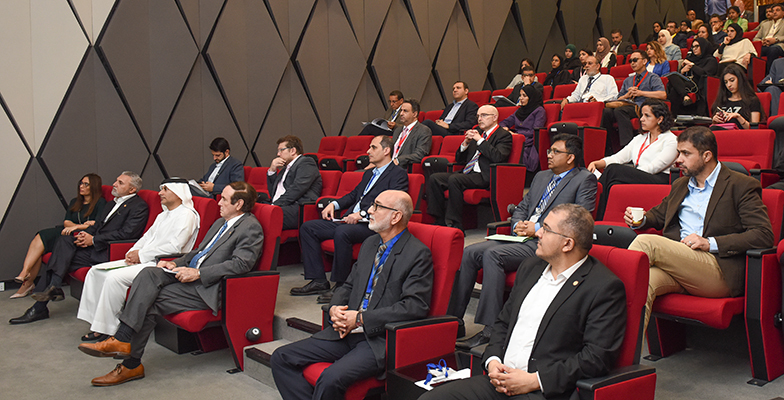 The conference also provides an opportunity for industry experts and eminent guest speakers from more than 20 countries to address recent research results and to present and discuss issues related to water regulation and policies, water resources and sustainable development of the region, progress in water protection and remediation, desalination, wastewater treatment, energy, environmental impact, economic management and development of water resources, environment and other water-related topics. The event will see 117 papers and posters chosen to be presented at the conference, after the review process. Selected research papers will be published in a number of international journals such as Desalination and Water Treatment, and Journal of Environmental Engineering and Science. Leading practitioners, policy makers and researchers will be delivering keynote lectures during the conference. These include: Khalid Al Huraimel, Group Chief Executive Officer of Bee’ah, UAE, who will deliver a presentation entitled: Innovation and Environment Impact: How Sharjah is leading the Landscape for Change; Dr. Heriberto Cabezas, Senior Science Advisor to the Land and Material Management Division in the U.S. EPA’s Office of Research and Development, who will deliver a presentation entitled: The Sustainability of Providing Water, Energy, and Food; Dr. Hassan Arafat, Director of the Center for Membrane and Advanced Water Technology and Professor of Chemical Engineering at Khalifa University of Science and Technology in Abu Dhabi, UAE, who will deliver a presentation entitled: The Emerging Application of 3D-Printing in Desalination and Water Treatment Processes; Dr. Mario Eden, Chair of the Department of Chemical Engineering Department and Joe T. and Billie Carole McMillan Professor at Auburn University, USA, who will deliver a presentation entitled: Computer Aided Methods/Tools for Sustainable Chemical Process and Product Design; Dr. Renbi Bai, Professor of Civil and Environmental Engineering, National University of Singapore, Singapore, who will deliver a presentation entitled: Development of Advanced Functional Membrane Technologies for Enhanced and Selective Separation in Water and Wastewater Treatment; and Omnia Halawani from Griffin Consultants, UAE, who will deliver a presentation entitled: How the UAE is Advancing in the Field of Buildings Energy and Water Efficiency – An Industry Perspective. "We are proud to sponsor this year's iteration of ICWEE, and support advancing research in the areas of energy, water and the environment. 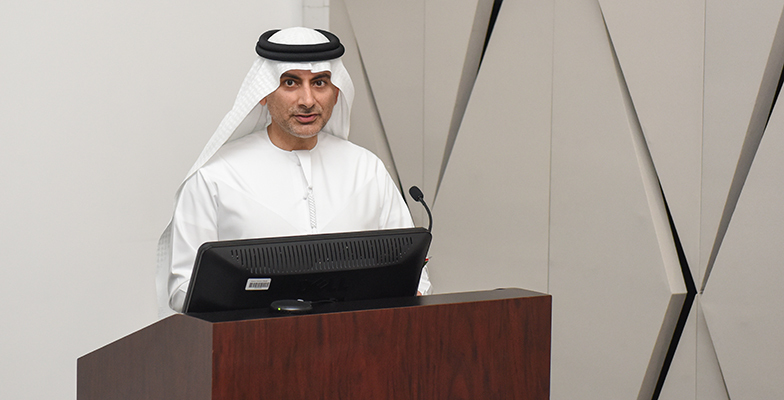 We believe platforms like this event encourage positive dialogue and discourse towards the adoption of sustainable practices, facilitating Sharjah's transformation into a pioneering force for environmental change and better quality of life in the region." Beeáh, Emirates Global Aluminum, and Beam Group of Companies are the Gold Category sponsors of the conference while Griffin Consultants have been designated as the event’s Knowledge Partner. In addition, the ICWEE2019 Posters Competition has been sponsored by the AUS Office of Research and the American Chemical Society Chapter in the UAE. 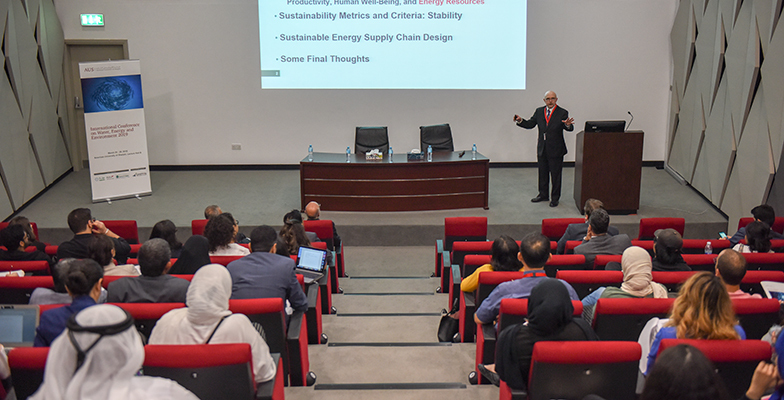 "We are very pleased to be a part of this important dialogue between researchers, academics and practitioners to discuss some of the ongoing challenges and opportunities we face today in the area of energy efficiency in the built environment." The conference, which will run until March 28, is chaired by Dr. Taleb Ibrahim, Professor of Chemical Engineering at AUS.